Transformative Technology Changing Manufacturing — Is RFID The Competitive Advantage You Need? At one time it was enough to just streamline operations to become more “Lean”. And those lean initiatives helped many manufacturers get through financial crises and economic downturns. Process automation and barcoding made a significant impact, but even the right mix of efficiency and business systems isn’t enough with today’s advancements. One thing is clear, the true path to the future of manufacturing competitiveness is through emerging new technologies and the adaptions of old, existing technology such as RFID. But, do you trust it? 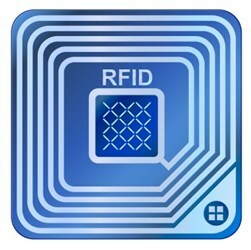 RFID has been around for decades and it’s difficult to get a return on the costly and substantial investment, right? And is it even a viable option for your environment and materials? These are all valid questions humbly welcomed by RFID which has been lingering in the shadows, ahead of its time, waiting patiently for this day to come.